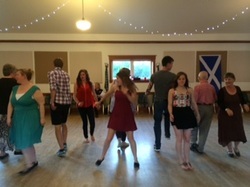 Our 5th Annual Summer Ceilidh is a very informal, family event. 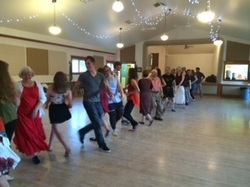 It's a great opportunity to introduce the joy of Scottish Country Dance to your friends, family, and loved ones. Great for beginners and experienced dancers alike. Pizza will be served and snacks and cash bar will be available. If you care to bring a sweet to share with the group, we'll be very appreciative.